A lot of us love watching war movies. We love watching the soldiers in action, quickly dropping to their knees to fire off some shots, running some more and dropping to their knees every so often. We watch and enjoy the action all from the comfort of our seats at home. A lot of us notice the tough looks of the soldiers, their helmets and goggles and certainly their mean looking guns. However, not many notice some very important gear that helps them carry out their jobs with efficiency and precision. One such gear is the tactical knee pad for military and combat. This is one very important piece of gear that can be easily ignored by the inexperienced. The primary job of tactical knee pads is the protection of the knees. The kneecap is not a very well protected part of the body. It is, however, the cap over the largest joint in the body and maybe the most used too. The only protection the kneecap has is the little skin that covers it. 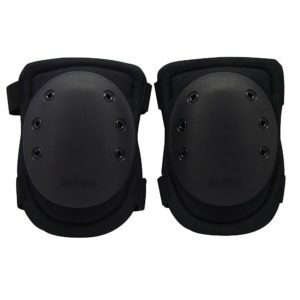 Tactical knee pads provide additional protection that ensures the knee caps do not get injured in the middle of some serious action. Padding – Okay we discussed protection against injuries above. Well, that’s not all tactical knee pads do. They also offer paddings which can make staying in the kneeling position comfortably for much longer. Picture this other scenario. It’s hunting season and a hunter is in the zone. He has just sighted game that will make him the envy of his hunting cronies. He drops quietly to his knees to take careful aim. Sadly, the floor below has sharp plants that start digging into his knees. He flinches in pain but does not make much noise so as not to scare off the animal. He, however, cannot kneel on that floor even though it is the best position for an easy kill. He cannot stand because then the prey will sight him. He cannot squat because that won’t give him the support he needs to aim properly. His best position is dropping down on one knee. Does he begin to try to clear the sharp plants or what? While he is still thinking of what to do, the animal moves away and so he loses his opportunity to get what possibly could have been the kill of the season. The story would have been different if he had tactical knee pads. Yes, he might still have missed the shot but it would not have been because he could not take the best firing position. Better Performance – We’ve already enumerated some benefits of using tactical knee pads. In a combat situation, knowing you are fully kitted and protected has a way of giving you the needed confidence to give it your all. Those soldiers you see dropping to their knees in a flash without first checking to confirm the suitability of where their knees will be landing can do so because their knees are well protected. With this increased confidence comes better performance. Versatility – Tactical knee pads for military and combat are not necessarily only used by the military or in combat situations. They can come in very handy in other situations that require protection for the knee. They can be used in the garden, for hunting and just about any activity where you will need to be on your knees for prolonged lengths of time. To choose the tactical knee pads that are right for you, you need to consider multiple factors. Below we covered some of these factors so you can know exactly what to be on the lookout for as your search for the best tactical knee pads for your needs. Material – This is one very important factor you need to look at when choosing your tactical knee pads. There are different parts to the tactical knee pad and each part is made of a different material. The front part which provides the main protection should be tough enough to really protect. It can be made of rubber, polyethylene or any other tough material. In fact, the army is known to use polyethylene for the front of their tactical knee pads so that should give you an idea of what to go for. Note, however, that polyethylene can easily be scratched so if you are very concerned about looks, you may want to try rubber. Whichever you go for should provide good protection. Aside from the front part, there is the back part that is in direct contact with your body. This should be comfortable and not irritate your body even though you may likely be wearing long pants. One more thing to consider when looking at the material a tactical knee pad is made of is how much flexibility it offers. The amount of flexibility you want will depend on what you want to use the knee pad for. You alone can determine this. Padding – We already know that this is one of the important functions of the tactical knee pad. Ensure it has enough padding for your needs. You should also look at the type of padding used. Manufacturers mainly use two types of foams for padding. These are open cell and closed cell foams. There is one major difference between these two types of foams. Open cell foams will absorb water while closed cell foams won’t. The implication of this is that one can absorb your sweat or even water when used in a rainy condition while the other won’t. The one that will absorb water will surely become heavier and more difficult to wear that is if it does not eventually slide down. Apart from this, closed cell foams are also better at absorbing shock. This simply means you should be on the lookout for tactical knee pads with closed cell foam padding. Strap Type – this is another thing that you should consider though it may not seem like much. As far as comfort when putting on a tactical knee pad is concerned, the type of strap it has can be an important factor. Tactical knee pads can come with Velcro straps or buckle straps. Buckle straps are more durable and dependable. They are, however, more difficult to put on and adjust. Velcro straps, on the other hand, can be put on very quickly, adjusted very quickly and also taken off very quickly. On the flip side, they can easily get degraded depending on how often they are used. You should look at your proposed usage and determine which type of strap will work best for you. 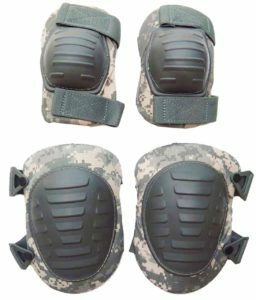 The above are a few factors you should consider when choosing tactical knee pads for military and combat. Determine your use and based on this, look for the type that will suit you needs by considering the factors listed above. Knee pads in army and military training are an integral part of the equipment. Many everyday tasks involve kneeling, crawling and putting pressure on the knees, because both in real war situations and in training, soldiers run, kneel down to shoot on hard and rocky surfaces, crawl under obstacles, etc. Doing all this in unimaginable speed and not thinking about ground surface can bring serious damage to soldier’s knees. Therefore they are ought to wear tactical pants with knee pads. As it is a necessity, soldiers want to have highest comfort and protection possible, therefore I will be reviewing the best tactical knee pads for military and combat found online. Tactical knee pads should be very comfortable, so soldiers can concentrate on more important issues, rather than how to not hurt their knees or their combat knee pad slipping down. But they also should be very protective and durable, as often ground surface is very rocky and hard, and tactical knee pads should be a great fit, too, because soldiers have to wear combat pants with knee pads, making it even more uncomfortable. Which is why here are multiple knee pad options that all will be comfortable, durable and will fit great. 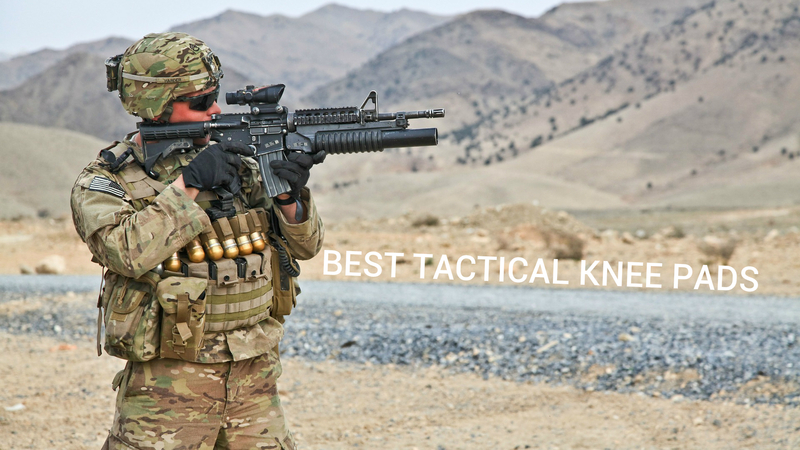 You can find our list with the best tactical knee pads in the table right below. Alta industries have long history of knee and elbow pad manufacturing, therefore quality expected from them should be great. They not only provide tactical knee pads but also outdoor, sports and industrial ones, therefore Alta knee pads are top quality in design, protection, and comfort. These knee pads are manufactured as military knee pads, however, they do work great also for other purposes and activities. For example, they are great for backpacking, hiking, camping or rock climbing or even for around the house and garden chores. In addition, they work great for after knee surgery healing, as they stay in place, are very comfortable and protective. Alta knee pads have a black rubber front knee cup, which is textured and prevents users from sliding on slippery surfaces, for example on wet rocks or grass, making these knee pads also very useful for snowboarders or skiers, as falling is a frequent occurrence. Front grip can prevent sliding down the hill on icy mountains. In addition, Alta knee pads use specially designed buckle fastening system which ensures that pad is going to sit on your knee without moving around or slipping down. This system doesn’t allow straps to loosen while you are wearing them and makes it much easier and faster to put them on and take them off. Two straps on the back of the knee pad provide extra comfort and security. The top strap is from an elastic material, making it tight on a leg, but still being comfortable and the lower strap is made of nylon. Although straps are very tight fitting, they do not dig into your leg therefore don’t make the knee pads very uncomfortable. The outer shell of knee pads is made out of rubber, making them very flexible and providing great traction. In addition, these knee pads are very durable, as they are designed to go through harsh desert and rocky surrounding, with a lot of rocks and mud. 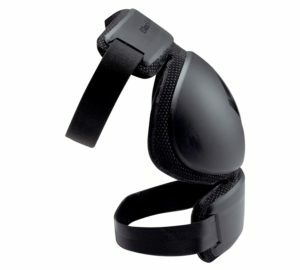 Alta knee pads do come in only one size, however, they are adjustable with straps. Special design of Alta buckling system provides comfort and safety, as it is very easy to attach and detach these straps. And once you have put them on, these knee pads do not slide down or shift. For slimmer people, it is very hard to find army knee pads which would stay in place, be tight enough and not slide down but still be comfortable enough to not interfere with tasks. But Alta knee pads are excellent. They fit well even for smaller knees and stay in place without sliding down. All in all, these knee pads are very well padded, but not too bulky. They are very easy to put on and take off. Knee pad stays in place all day and does not slide down, making it very comfortable as you don’t have to think about your knee pad and spend extra time adjusting it. And as they are manufactured for the military, these knee pads are durable even in extreme circumstances. Alta knee pads are recommended for service members who are looking for great padding and protection, and comfort. On top of that, comparing to similar knee braces with similar ratings, these are much cheaper. Arcteryx is an establishment which manufactures a variety of different goods, starting from clothing and footwear to accessories and knee pads, for climbing, snowboarding, and active life. They have a wide variety of jackets and bags and shoes targeted to rock climbing and being in windy and cold weather. Their line LEAF is specially targeted to law enforcement and army forces manufacturing essentials and accessories for combat. Arcteryx tactical knee pads are manufactured for army needs, however, they are also great for other activities and sports which include putting pressure on your knees. For example, for snowboarding or hunting. Because they are low profile, therefore, can be worn under your pants without restricting any movement. It is important that tactical pants with knee pads can be worn together and feel comfortable, as every part of the uniform is essential and cannot be left aside. These combat knee pads have a unique buckling system which makes it very easy to be put on and taken off. Every manufacturer tries to design the best system because they know how crucial every second in the military is. Therefore the buckling system of knee pads has to be fast and understandable. As these knee pads are easily adjustable they are also very comfortable. The straps are not made out of elastic material, so they won’t be slipping or sliding off or changing location when moving around. And the whole kneepad flexes and adjusts to your knee when you walk, providing extra comfort and protection. These Arcteryx tactical knee pads come only in one color – black, not giving choice in color, however, if you are wearing them underpants then it doesn’t actually matter. For winter sports it is advised to wear these knee pads under pants as the front of the knee pads is smooth, therefore will not stop you from sliding on icy mountains. Also in the military, it is advised to wear the pads under pants as after rain grass and rocks are very slippery. All in all these military knee pads are super comfortable and lightweight. The way these knee pads bend along with knee rather than being stiff makes a whole lot of different in comfort and protection. As they are very low profile tactical pants with knee pads can be worn together. Which is very important in the military. Although they are manufactured for the army, these knee pads are highly recommended also for winter sports, as they are lightweight and cling to your knee without any restrictions to movement. Color – comes in four different colors – black, A-tacs Au, Abu and MultiCam, of which three last being military camouflage prints. Moreover, each color of knee brace costs different sum. As already discussed in the first knee pad review, Alta Industries manufactures many different varieties of knee pads for different purposes. Moreover, they have a long history of making knee pads, therefore, we can expect the highest quality in design, protection, and comfort from Alta. 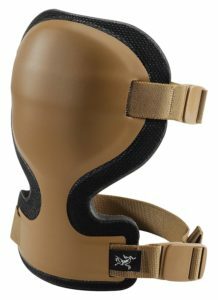 Alta Contour military knee pads are not only great for military, but also for sports such as paintball and airsoft and even for hunting. 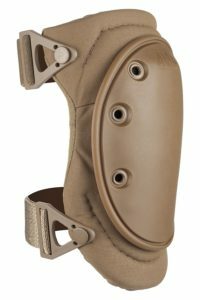 These knee pads, as most of the military knee pads, come in only one size, but they all have adjustable straps to accommodate your knee size. These Alta knee pads come with a double strap which makes it very easy to be put on or taken off and prevents knee pads from sliding down your knee. Alta knee pads have specially designed buckling and strap system which is aimed at achieving the most comfort possible, therefore, these knee pads will not slip down, pinch the back of your knee, cut down circulation or intervene with your movements in any way. Overall they are very comfortable. These tactical knee pads have just the right amount of padding without being too bulky, therefore even when you are kneeling or crawling on rocks or stones you will not feel pain. The only downfall to these Alta knee pads is that straps are not as of good quality as the knee pads themselves. And although it states that one size fits all, bigger guys with bulkier knees might not fit in these or they might be very tight on them. Also, the inner part of knee pads have elastic material on them, therefore, it might be hard to pull them over leg and pants. Which results in tactical pants with knee pads not working well together. Also knee pocket of these army knee pads is smaller than usually, therefore if your knee is on the bigger side, you might feel discomfort during a time when you are wearing these. 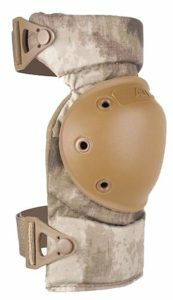 Although they are comfortable and very appropriate and more than just great for sports, hunting or labor work, as we are looking at combat and military knee pads, these will not last long for military purposes which they are designed for. However, if you are looking for knee pads for sports or outdoor purposes these knee pads will be an excellent choice. These tactical knee pads are manufactured by the brand called Military Outdoor clothing, which already gives away the fact that their main focus is manufacturing outdoor clothing and accessory pieces for military purposes. They have been cooperating with military and providing them with equipment, therefore, Military Outdoor Clothing products correspond to every requirement, which military equipment has. Military outdoor clothing tactical knee pads and elbow pads are designed in order to provide the most protection for knees and elbows without restricting the person who is wearing these pads. They are made very well and are extremely durable, almost indestructible, which any good military knee pad should be. In addition they will also work great in wet circumstances, a lot of knee pads do not hold well when being in wet weather, however, these do extremely well job. 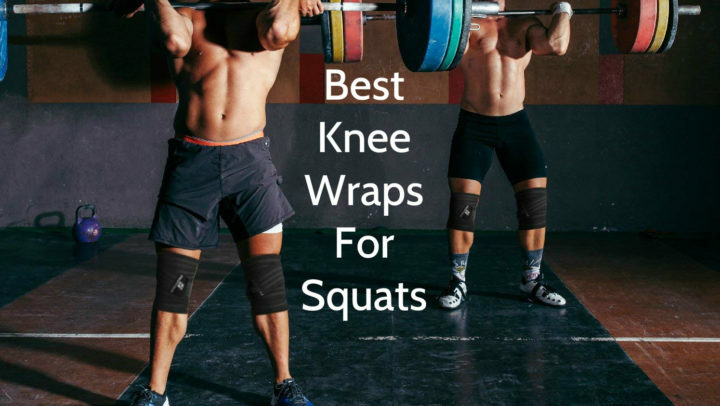 They are bulkier than other knee pads, so if you are looking for more slimmer and light weighted pads or are planning to be wearing them under slimmer pants then these are not the best option. But if you are fine with how bulky they are then these knee pads will be great. As these knee pads are manufactured for a military, their main job is to protect your knees and last as long as possible, therefore they are bulkier than other similar knee pads. However, even though they are bulkier, tactical pants with knee pads made by Military Outdoor Clothing will still be worn together. Black diamond Equipment are manufacturing active wear and accessories targeted at climbing and hiking enthusiasts. As they are manufacturing gear for serious sports, where safety comes first, their quality reaches the maximum level. These tactical knee pads are not only great for the military but also will be appropriate for winter sports, airsoft, and even volleyball. These tactical knee pads do have great protection despite their low profile padding. They are thin enough that they can be worn under pants without intervening with movements. 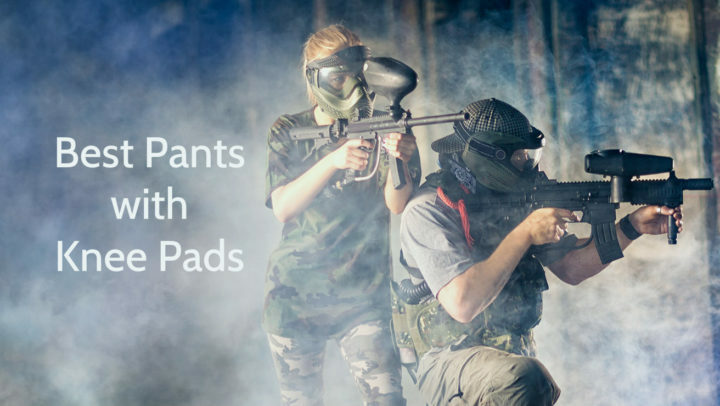 Therefore tactical pants with knee pads can be comfortably worn together. In addition, black diamond knee pads are very durable, they can be worn all day long and still be comfortable and protective. However, these knee pads will protect only front of your knee, as sides are not padded and there is not any material at all. Padding and material are only for the knee cup. These knee pads are separated into three parts, so they are more flexible, adapting to your movements. Although knee pads do have two straps to keep them in place, they need some adjustment from time to time. As some of the other tactical knee pads mentioned in this article, which are said to be made for military and combat usage, they won’t actually protect your knees in real combat circumstances, they are excellent for sports or usual everyday wear, but won’t live through rough circumstances. These Black Diamond knee pads can actually hold the pressure and are great according to military agents themselves. Although they might not be the most comfortable tactical knee pads on the market, they will be one of the most protective ones. However, only for you knee cup and not anywhere above, bellow or on the sides of knees. Overall, great knee pads if you are looking for protection rather than comfort. Blackhawk is a company manufacturing military gear and equipment, starting from ordinary accessories such as knee pads to accessories for guns. They aim to manufacture gear, which won’t let down the user when it comes to the performance of it. Blackhawk tactical knee pads are made out of nylon, their inside cup is molded so that it is flexible and comfortable. Allowing maximum flexibility when running and jogging. Foam padding used in these knee pads absorbs shock impacts extremely well. Both the front and the back are well padded, ensuring front and also side protection. Although the back of the knee pad is open, your knee is still highly protected with these knee pads. The only downside to these combat knee pads would be that material is not as good as expected. Since it is manufactured for the military, it should withstand harsh circumstances, but these knee pads would be better for training sessions, not actual war scenes. Also, their design protects greatly top of the knee, but if you have longer knee, the lower part of it might not be protected. Overall, great knee pads for sports, or if you are not looking for serious knee pads, however, if you are wanting more serious ones, you might want to invest in little bit better knee pads which have higher quality and protection. When looking into buying tactical and military knee pads, you have to consider all your need. Is protection going to be the main characteristic, or is it going to be comfort, or maybe you want to have both? Overall, when you have decided on what kind of knee pad you need and want, you have to be sure to choose the right size, or if it is one size which fits all, you have to make sure you know how to buckle your knee pads. Otherwise, it does not matter how good and protective the knee pad is. If you will not have the right size knee pads no matter how good they are, will feel uncomfortable and won’t be much protection.